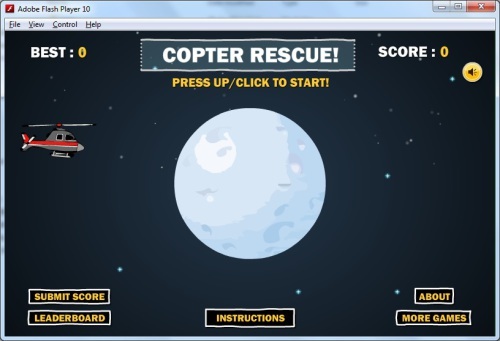 Description In this game you control a helicopter and take it through space avoiding asteroids in the way. Launch missiles to hit and destroy the asteroids! Controls Click to take the copter up and release to take it down. Press space to launch missiles.